My mouth was torn apart between two things. On one hand, the burning sensation of the liquid was so intense that I wished it never entered inside. On the other, the warming feeling introduced such a kick to my oesophagus I wished my lips had met rakia earlier. Much earlier. If you have chatted with people from the Balkans and/or visited one of the many Eastern European countries that form the Balkan Peninsula, rakia won’t be something new to you. If you have not, it’s high time this fiery beverage entered your vocabulary. Either way, I promise this article will fascinate even those of you who don’t consume alcohol. Brace yourself for delectable descriptions, enticing photos, and gripping history. Let me just pour myself some rakia before we delve deeper. What’s one thing pizza cannot go without? Tomato sauce! What’s one thing a salad in Bulgaria cannot go without? You guessed it right – rakia! Rakia is to Bulgaria as baijiu is to China, as champagne is to France, and as sangria is to Spain. This scorching beverage is the perfect accompaniment to any salad – be it a spring greeny or an autumn reddy. Ranging from 35 to as much as 70 or even 80%, rakia is revered by Bulgarians and people from the Balkans alike. The sizzling beverage best enters the mouth in the mountains because you don’t need to worry about the hangover. The crisp air takes care of that. Of course, you can consume the drink anywhere. It’s an indispensable part of the culinary menu of the Bulgarians, as well as of many other Balkan countries. While the golden-fire rakia is a magnificent helper when you’re feeling lonely, it’s even more delicious when you taste it in the presence of friends. People love conversing while sipping tiny mouthfuls and accompanying them by a Shopska salad or pickles (turshiya), depending on the season. In summer, people consume rakia ice-cold. In winter, per contra, it resembles mulled wine since locals warm up the beverage and spice it up with honey, black pepper, and other condiments. Bulgarians call it greyana (греяна). The powerful drink chills the senses in summer and warms up the body in winter. In both occasions, it smoothly uplifts the soul and brings it to another, more relaxed dimension. The first rakia is something utterly special and challenging to explain. It is like the first love, like the first dip in the ocean, or like the first wow when you enter a huge concert hall. The first rakia frees and elevates the soul. It chases away all the demons inside your head. Those demons with whom you occasionally argue and quarrel. The first rakia races down your oesophagus in a hurry to heat up every inch of your eager body. And somehow, imperceptibly but quite naturally, comes the second one. The second rakia is like a revelation. After it, you start feeling your body as light as a feather. You inhale and exhale deeply. You slowly sense the sweet decadence of life. You sip, swallow, and culminate. The third rakia is like a moment stolen from eternity. It acts as weighing scales. On one of the sides, you have your great mood, overt happiness, and the powerful feeling of being able to move mountains. On the other side, there’s the nostalgic feeling related to all the missed chances in life. A pain, barely audible, like the whiff of the Mediterranean wind in May. The fourth rakia is like jumping into an abyss, like a loud groaning noise, like dipping in a vessel full of ice-cold water. Rakia should be always ice-cold. Unless it’s winter. The fourth rakia brings up all your failures. It comes with self-pity and tears, so it’s advisable to head straight to the fifth one. The fifth rakia is the connection between hell and heaven. It revives life and helps you find the missing meaning. 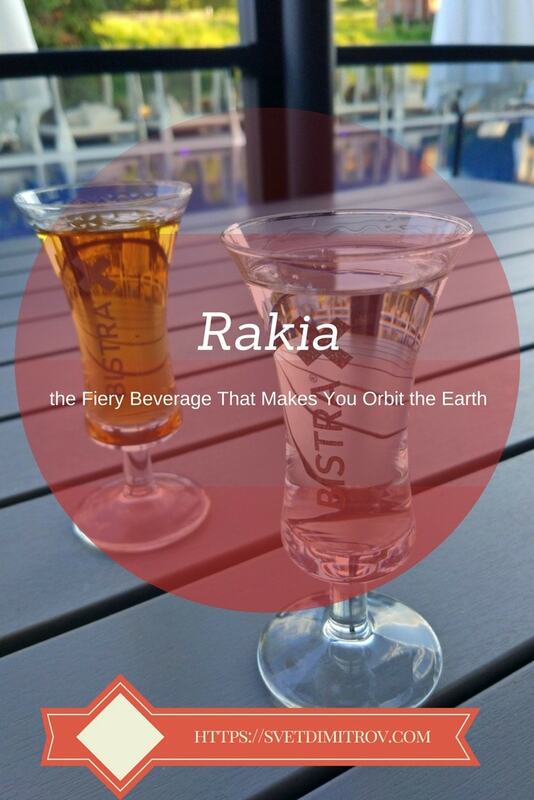 With the fifth rakia, you start to love everyone. You wish you could embrace every living thing, to stroke every plant, and to tell people how wonderful life is. Because it really is… after the fifth rakia. After it, you discover the most precious thing in life – the joy of being completely free. You recall what it’s like to fly, to hover over the clouds, and to see everything from above. 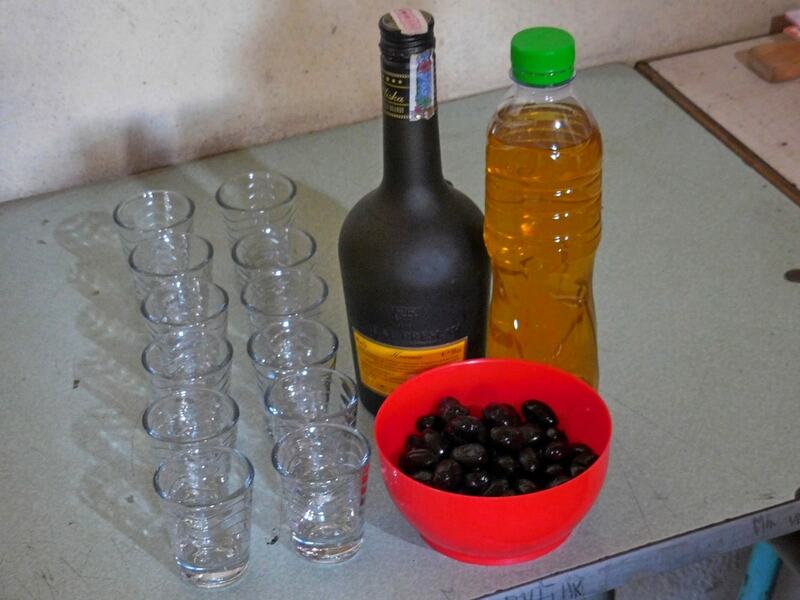 Raki, usually from grapes or plums but occasionally from walnuts and mulberry, is considered a traditional drink in Albania. People produce raki mostly at their homes, although the government is trying to limit that. In fact, this applies to all countries on this list, without any exception. The common misconception that rakia production began no earlier than the 16th century was recently addressed by Bulgarian archaeologists who discovered a fragment of a distillation vessel, dating back to the 11th century. It most certainly helped for producing rakia and it might also serve as a proof that the said spirit originated from Bulgaria. The sizzling drink is a wonderful accompaniment in the mountains. Another artefact – a piece of pottery from the 14th century – proves the Bulgarian origin of the drink with an inscription of the word rakinja on it. In Bulgaria, there are multitudes of varieties, with the grape and plum rakia being the most popular. The most popular alcoholic drink in Croatia is, in fact, rakija. The so-called travarica – a kind of herbal rakija, is often served with smokvenjak – a type of cake, made with dried figs, chopped nuts, and aromatic herbs. Other kinds of herbal rakija include mrtina – a bitter and dark brown, infused with myrtle; aniseta – epitomising anise; and orahovača, on the basis of walnuts. If you’re in central Dalmatia during summer, it is very likely that you will see big glass jars with walnuts steeping in the alcohol on most balconies. This is due to the fact that the green walnuts, which the rakija is infused with, must be exposed to sunlight for a certain period of time. Locals believe Orahovača has healing properties and fights bronchitis. In the northern Adriatic, you could come across medica – which is made with honey, or biska – with mistletoe. You can salivate over Šljivovica – made from plums – and Viljamovka – prepared from Williams pears – in the interior of Croatia. Much like Bulgarians and Croatians, Macedonians also consume the golden brandy. Not only there are fruit varieties but also herbal, honey, and walnut rakijas. Rakija is a national drink in Montenegro as well. Locals believe that it has healing properties. According to them, the golden beverage instantly destroys bacteria, alleviates muscle and stomach pain, exterminates viruses, and fumigates wounds. Montenegrins like to prepare their rakia (rakija) out of almost every fruit, and the alcohol content varies up to 80%, or even higher. The most popular kind of rakija in Montenegro is made from grapes. Rachiu or rachie are the Romanian representations of the holy Balkan beverage. It’s a strong fruit-based brandy, usually from grapes. The plum version in Romania goes by the name of țuică. The alcohol percentage varies from 25 to 65 by volume, usually 40-55%. Romanians love their țuică, and every year, they strive to prepare it before Christmas – so as not to postpone any “business” for next year. Unsurprisingly, rakia or rakija is one of the most popular spirits in Serbia, too. Since 2007, Serbia has five trademarks for rakija, which include Dunjevača (quince), Jabukovača (apple), Kruškovača (pear), Medovača (honey), and Šljivovica (plum). No other country in the world has any trademarks regarding this drink. This means that the European Union grants protection over these names, and allows the prefix Serbian to be used in front of them. The producing method depends on the type of rakia you want to make. There are different ways of preparations, depending on the fruit that you’ve chosen. After you process the fruits, you have to place them in the drums, so they can ferment. In Bulgarian, the drums are called “dzhibri” (джибри). Then, you have to measure the sweetness of the fruit and consider if you need to add additional sugar. Let’s take the most popular Bulgarian kind – grozdova rakia (grape rakia) – as an example. Before you place the grape into the drums, you have to squeeze the juice out of it, so you can later take a sample and measure the sugar level with a saccharometer. The sugar level must be between 20 and 22%. High-quality grape is the one, which doesn’t need any additional sugar. This is a metabolic process that produces chemical changes in organic substrates through the action of enzymes. In other words, through this process, the fruit in the drums reaches the sufficient low sugar level. In general, this period varies between 20 and 40 days, depending on the type of fruit, the weather, and other factors. Let’s take grape for example. During the first five days of the fermentation, you have to stir the fruit mixture 2-3 times a day. After these few days, the real fermentation begins. Pay attention to the weather. The warmer it is, the faster the fruit will ferment. When the sugar level hits 0, you have to immediately place the liquid in glass vessels for brewing (boiling) in order to get the best rakia possible*. *This doesn’t apply to all fruit variations. Pour the fermented material in a special tank. Seal it up with dough, ash, and a little bit of water. Then а peculiar pipe is set up to connect the first tank with a second one. Its role is to cool down the vapour coming from the first tank. When the fruit inside the first one starts to boil, its vapour passes through the pipe and goes into the second tank. Then it cools down. The final result is the holy beverage – rakia. During the brewing, the fire mustn’t be vigorous. It’s crucial to measure at what temperature rakia starts flowing through the pipe. If the drink is strong (60-65 degrees) at the very beginning, this is a sign of a high-quality product. In Bulgaria, local producers always ask each other about the initial degree. That’s how they determine the master brewer. For most people, the best rakia is between 36 and 40% vol, but there are some who prefer it stronger. However, the golden beverage isn’t ready for drinking yet. Here comes the fourth and final stage. After you have finished the brewing process, you have to place the drink either into oak barrels or glass containers. Leave them open for 2 to 3 weeks, so they can “breathe”. This is how the poor-quality alcohol evaporates. After 20 days, you can colour your rakia up to dark brown (optional). For this purpose, distinct wooden twigs are used. The most common ones are plum or acacia twigs. Your desired colour will appear in a week or so. If you’re impatient, you can taste it immediately, but bear in mind rakia gets better with ageing (similar to whisky). Even though plum and grape rakia are the most common types in any country, there are quite a few other flavours, as well. The so-called kaysieva rakia (apricot brandy) is present in the majority of Balkan countries. Other rarely used fruits can be the “building blocks” of the beverage. These include apples, cherries, figs, peaches, pears, roses (gyulovitsa or gyulova rakia), quince, and even different types of berries, depending on the climate of the region and the harvest. In countries, such as Bulgaria, Bosnia and Herzegovina, Macedonia, and Serbia, producing home-made rakia from mixed fruits is a common practice. In certain regions of Croatia, particularly the Dalmatian and Istrian ones, people aren’t usually keen on using any other fruit, apart from grapes. Following distillation, herbs, fruits, nuts, and honey could be added to plum or grape rakia, in order to provide a more complex taste and aroma, and even turn the otherwise colourless drink into an irresistible golden elixir. Leaving the drink to age in a wooden barrel would yield a similar effect. Customarily, rakia worshippers serve it in small glasses, which can hold up to 50 ml. Nowadays, however, the use of bigger glasses, like ones for whiskey, has become more common. 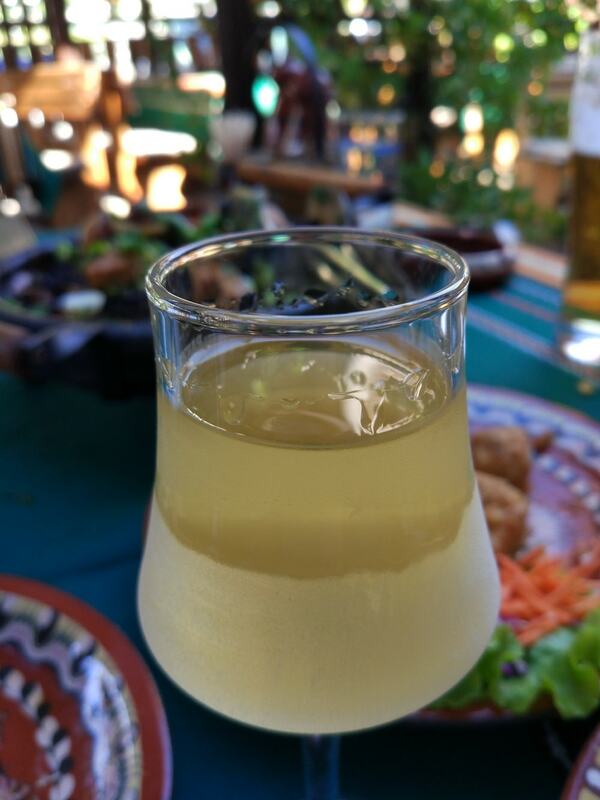 There are quite a few drinks, similar to rakia, such as the Bulgarian mastika, the Greek ouzo and tsipouro, the Lebanese arak, and the Turkish rakı. Nevertheless, they revolve around anise, which makes them different. 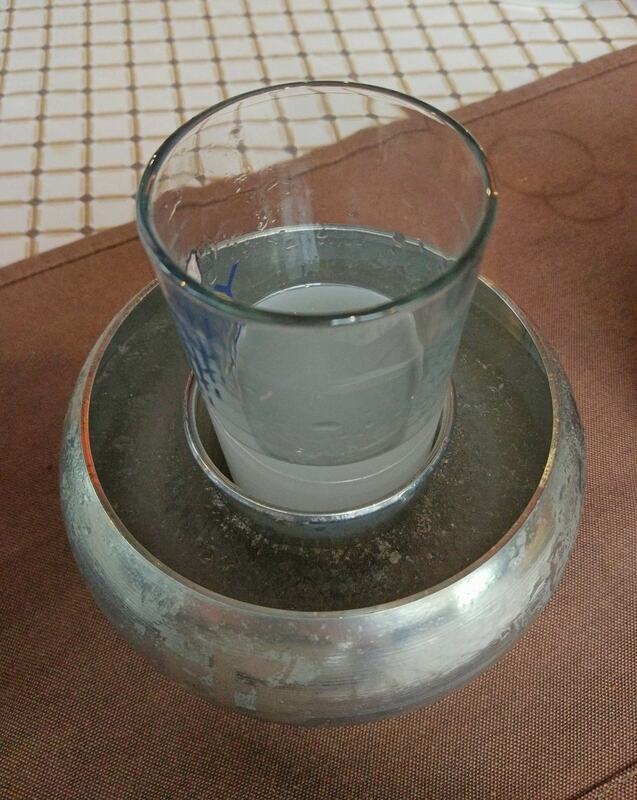 The Turkish rakia (rakı) incorporates anise. 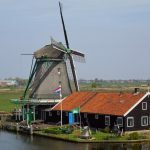 It’s worth noting that there is a plethora of recipes, some of which merge the characteristics of two or more types of home-produced alcohol into one beverage. Due to this, the content and the name of the drink can vary. The majority of countries on the Balkans use the very same word for this drink, regardless of the language. Usually, it is rakia and it’s pronounced the same everywhere, but with minor differences in spelling (rakija or rakiya). Nonetheless, there are several more names for it, such as ţuică or palincă (Romania), sadjevec or šnops (Slovenia), pálinka (Hungary), rakı (Greece and Turkey), and pálenka (Poland, Slovakia, and the Czech Republic). Although rakia is not as fundamental in religious ceremonies as wine is, it is still a part of certain rituals across the Balkan Peninsula. Offering rakia to one’s guests, here on the Balkans, is considered a gesture of hospitality. Tasting home-made, fig variety in the Kavarna region of Bulgaria. In addition to that, sharing a toast in the name of newlyweds on their wedding day is a common practice. The groom’s father usually initiates it, and goes around the tables to personally engage with every guest. At supper, spilling a couple of drops of rakia on the floor is usually a way to honour deceased relatives or friends. When you find yourself sauntering Bulgaria, you are most likely to find yourself emptying glasses in the presence of Bulgarians. 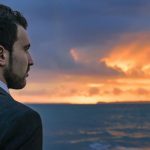 Whether that is in a bar, in a city park, in a restaurant, on the beach, or in the mountains, here are a few vital tips. Before anything else, the alcohol industry in Bulgaria is decentralised, so you can purchase rakia (or any other spirits) virtually anywhere. When drinking in the company of Bulgarian folks, observe the ritual of cheers. The word for that in Bulgarian is “Nazdráve” (наздрáве), literally meaning “on health”. One may say it loudly, but it is essential to make eye contact with anyone who is drinking when your glasses touch. The same rule applies for subsequent rounds. Another important thing is understanding the social role of consuming alcohol in Bulgaria. Most of the time, drinking is not aimed at getting wasted but rather on easing social communication. Alcohol comes in gigantic quantities, but at quite leisurely a pace, never downed at once, and almost always with some kind of snack. 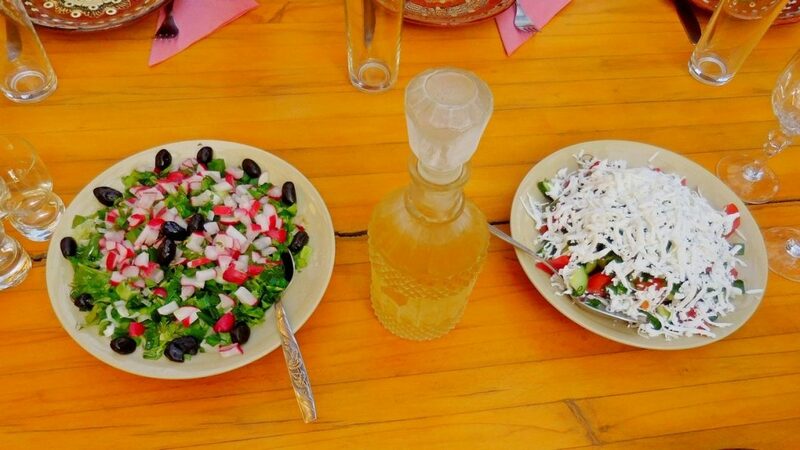 Rakia in Bulgaria is usually around 40% vol., and is most likely an aperitif, accompanied by salads (shopska, for instance) or turshiya (pickles). A written source from the Ottoman Empire, dating back to 1382, seems to prove that Bulgarian warriors used to empty a couple of rakia glasses before entering battles. The military commander Lala Şahin Pasha suffered a demeaning loss and he explained the defeat to the sultan of the Ottoman Empire by stating that Bulgarians become invincible when drinking rakia. Whether or not that’s the case, you have only one choice to find out – come to Bulgaria and clink your glass with a local. Have your lips savoured the fiery, golden beverage? How was your trip around the Earth? Nazdráve, Hung! We really must catch up. It would be epic. 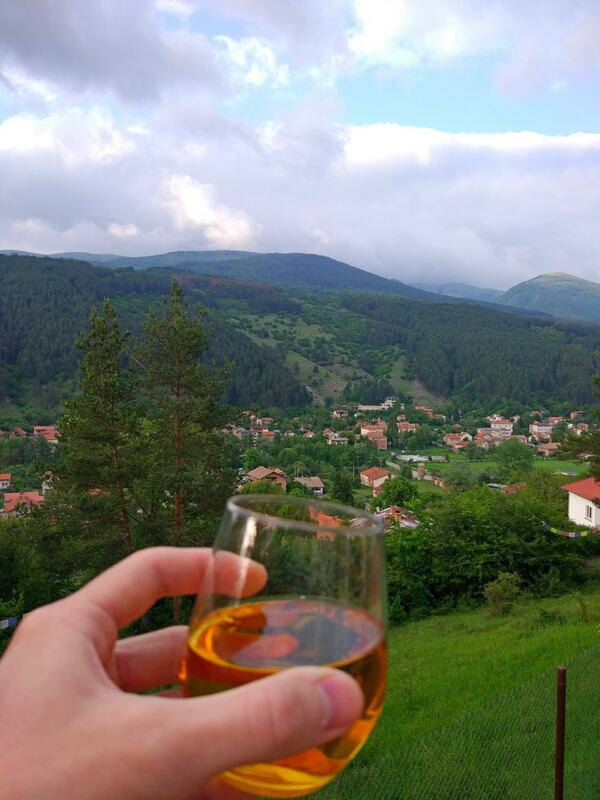 I can bring rakia anywhere in the world (besides Saudi Arabia, I think), but I have to warn you that rakia is best consumed in Bulgaria! So, one day, we will be enjoying it – whether it’s a sizzling summer or an ice-cold winter. This seems like a must try drink when visiting the Balkan countries. I’ve been to Bulgaria recently, but I haven’t tried it, Svet. Is it a traditional drink there? Oh, yes, this fiery spirit is a must-savour! It is a traditional drink in Bulgaria, too, Agnieszka! When were you in Bulgaria? 🙂 Did you try the wines? Hehe, this is what we do when we drink the heated (hot) rakia. The vapours are so strong because it’s boiled. Thanks for the comment, Radu!